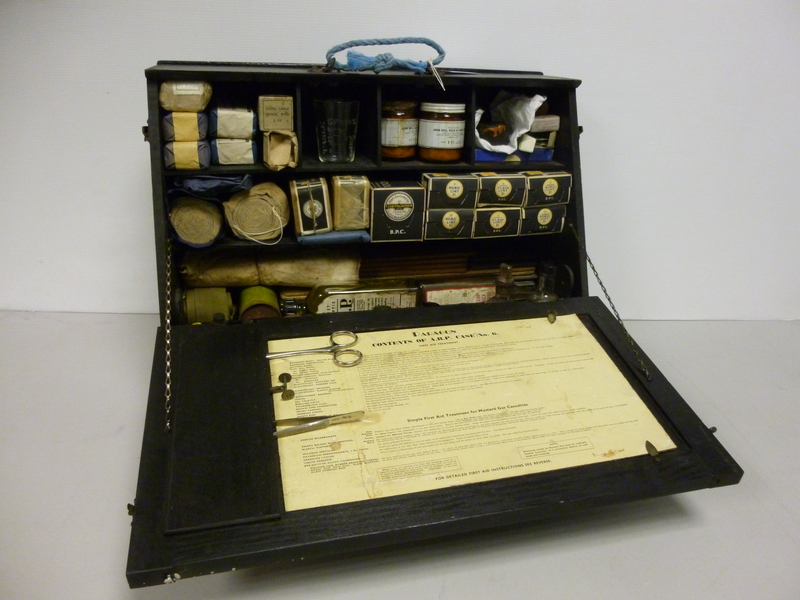 Beamish’s 20th century collections assistants: Second World War ARP First Aid Kit. Meg’s Diary. 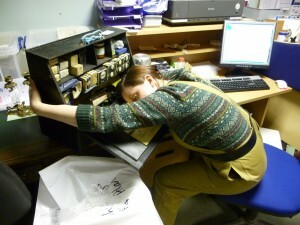 This post details the processes involved when an item is donated to Beamish. In this case Meg processed a Second World War ARP (Air Raid Precautions) First Aid Kit (see photo below). First of all every donor fills in a receipt officially giving the collection to Beamish. 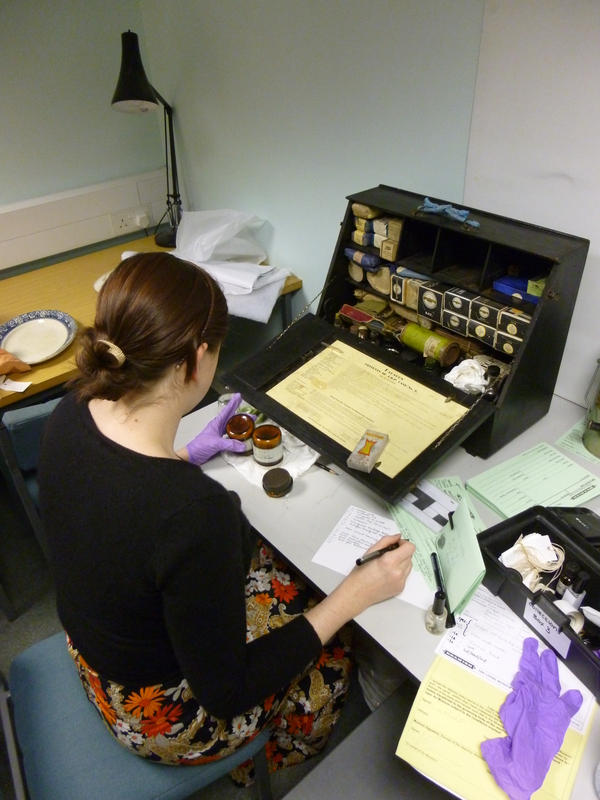 Thursday 20th November 2014 – started listing the objects within the collection. Meg decided owing to the rare nature of the almost complete ARP First Aid Kit, the collection should be recorded in detail. 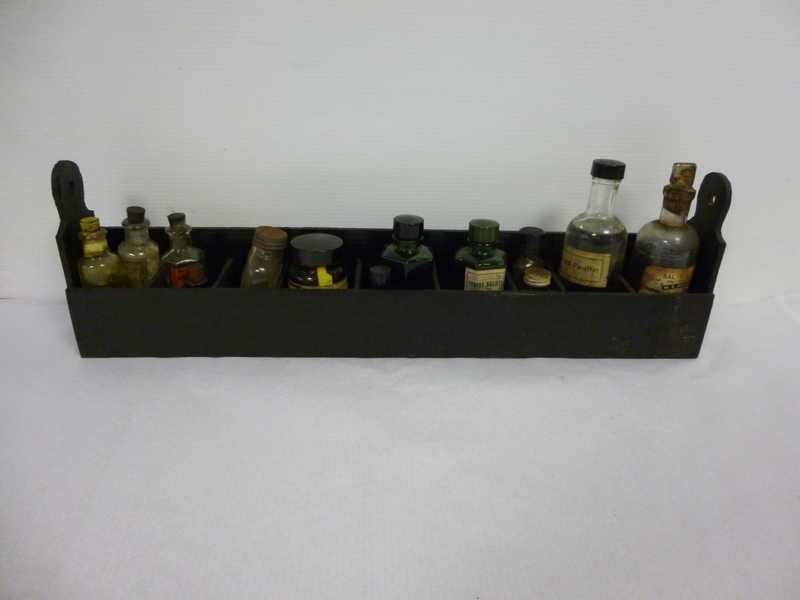 Friday 21st November 2014 – Completed listing and semi-permanently labelling each object. Depending on the object the semi-permanent labels are marked in pencil, black or white ink or sewn onto an object. Each donation is given a collection number (2014-184 in this instance). Individual items within the collection are sub-numbered (e.g. 2014-184.1) and an individual item can be separated into different parts for example .1a and .1b. This is so we can keep track of each individual object and have a good record of its appearance and size. Coincidentally item 2014-184.1BP was a bottle of Iodine B.P. ! Meg listed items from .1a to .1bx – that is a lot items in one collection! Meg listing the objects within the ARP First Aid Kit. Monday 24th November 2014 – following listing and labelling each object is recorded on a Green Card, including a description, when and where the object was used and its estimated age. Wednesday 26th November 2014 – Photographed and measured all 81 items! This is so we can identify objects when searching through the online catalogue and display images of our collection online. Example of an object photograph. Elastoplast tin with instructions. Thursday 27th November 2014 – today Meg started transferring the information recorded on the Green Cards onto the collections management system (KE-Emu). Friday 28th November 2014 – continued to catalogue the donation onto KE-Emu. Monday 1st November 2014 – Completed J. Now the ARP First Aid box is part of our collection and located in our stores. This demonstrates that it can take one person 6 days to process just one donation! 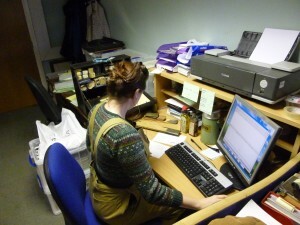 At the moment the collections team at Beamish receive on average around 5 donations of objects every day. 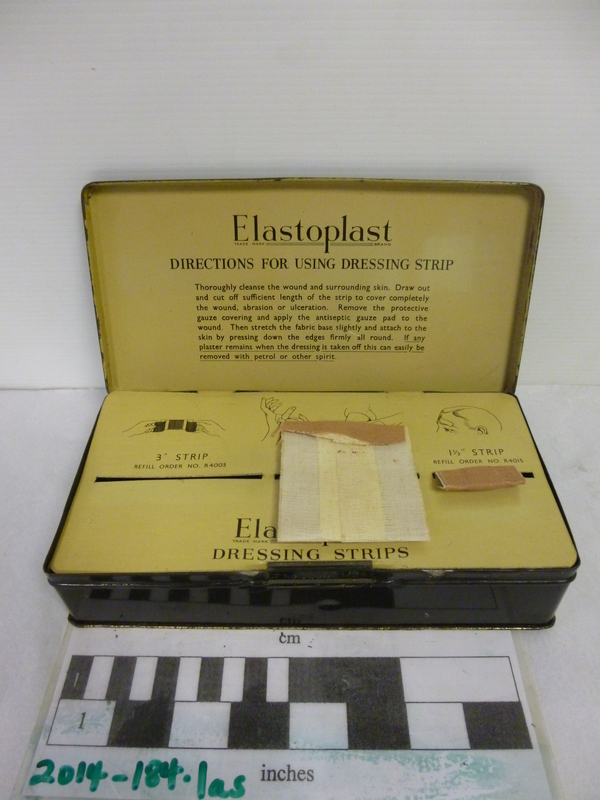 This entry was posted in Adventures in Collecting and tagged 1940s, ARP Air Raid Precautions, collections, First Aid Kit, Medical Kit, Meg, Museum, Museum cataloguing, Museum Staff, Second World War on May 29, 2015 by BeamishMuseum.